No cabin or lodge decor would be complete without a place to sit and jot a short note to a friend or address a special card. This Hickory Writing Desk features 2 Drawers and is individually handcrafted. No cabin or lodge decor would be complete without a place to sit and jot a short note to a friend or address a special card. 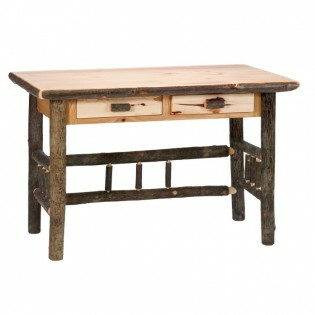 This Hickory Writing Desk features 2 Drawers and is individually handcrafted. 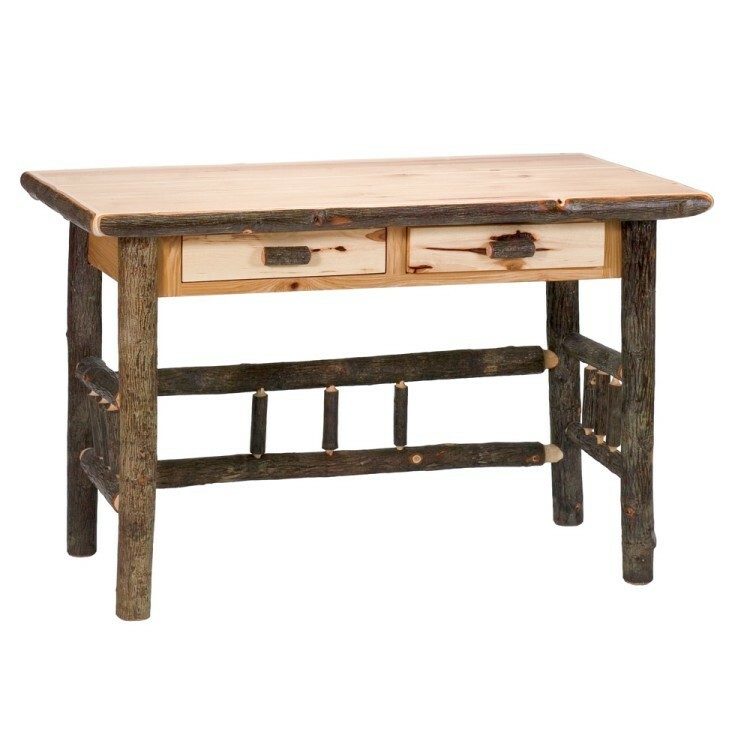 This rustic Hickory Desk is Clear-coated with a catalyzed lacquer finish or is available with an armor finished top for extra durability in preventing denting or scratching of the surface. The Hickory Logs are bark on and kiln dried to a specific moisture content. The armor finish is made from an oil based urethane. It is applied in a 3 step process that leaves a satin finish and helps prevent scratching and denting. It is similar to a finish you would find on a hard wood floor.